Most user reviews say that Airyware Tuner is a best guitar tuner for Windows Phone, however this app is not only for guitars. 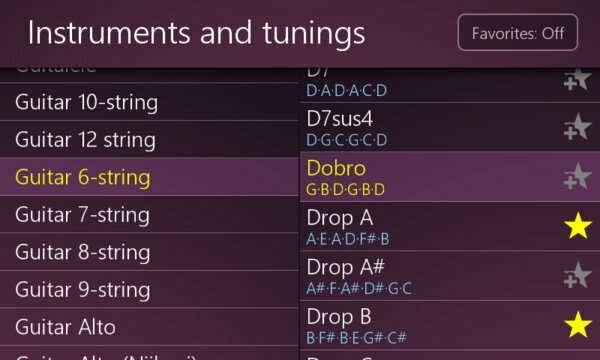 It can help tune more than 400 instruments of string, woodwind, brass, and some percussion types. It works equally well at stage, home, and street. It is beloved by bass guitar players and contrabassists. It is used by pro piano tuners and luthiers. Try it yourself! 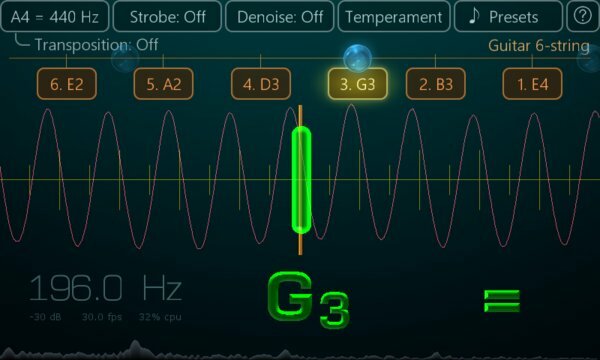 Play an arbitrary note on your instrument, and Airyware Tuner will show you how perfect it was. With instant reaction, scientific precision, waveform inspector, needle/strobe dual view – this tuner is a choice of musicians who care about best sound.